Reviewing the last few episodes we saw things were heating up between Thomas (Clifton Collins) and Sophia Maguire (Laura Innes), President Elias Martinez (Blair Underwood) and Raymond Jarvis (Bill Smitrovich), Dr. James Dempsey (Hal Holbrook) leaving for France, and a huge meeting of the Aliens at a cathedral in Los Angeles. 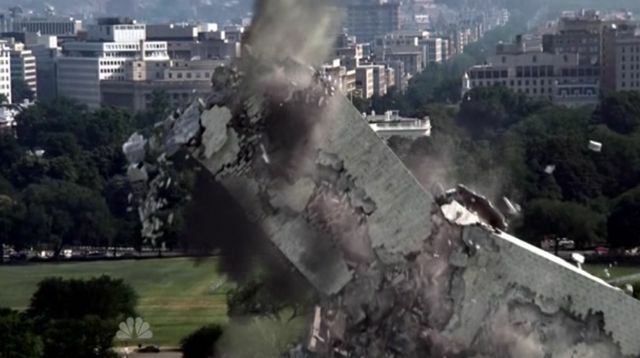 When we left the last episode, The Aliens had been told that their world is going to be destroyed by a Supernova and their race is in eminent danger of being wiped out entirely if they cannot bring thousands of them here to Earth through what they call a ‘Portal Array’. Because the rebel Thomas hijacked uranium to power their Portal Array the government now sees them as being of less than peaceful intentions. 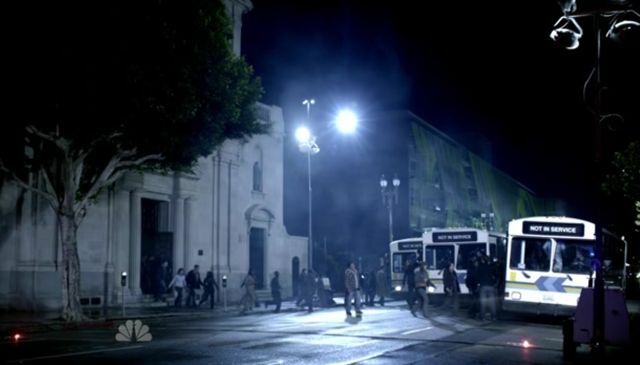 This resulted in the Cathedral being surrounded by Military on President Martinez’s orders to capture the aliens -Alive or otherwise. 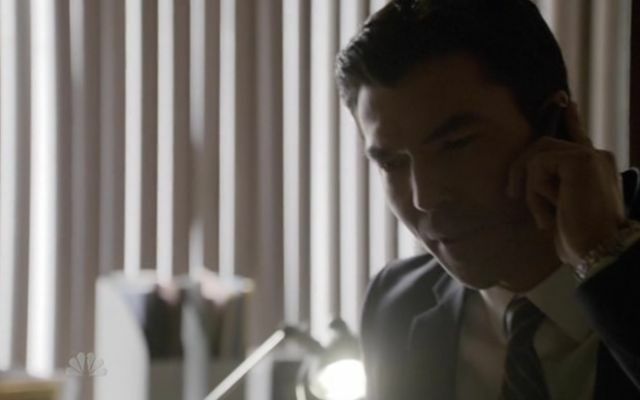 Vicky and Sean escaped from the Ambassador Hotel where they had forced a face-to-face meeting with Raymond Jarvis. Jarvis informed them that Dr. Dempsey had departed for the Jura Mountains in France that day and the Secret Service were in hot pursuit. 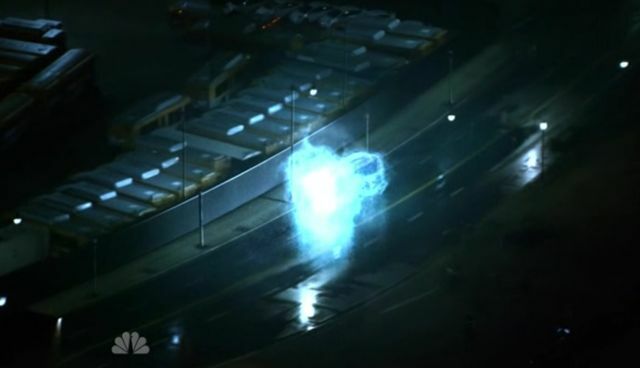 This episode opens with Vicky Roberts (Taylor Cole) and Sean Walker (Jason Ritter) running through the streets of Downtown Washington DC with the Secret Service in pursuit. They made their escape and are now at a vehicle, changing from their gala formals into normal attire, trying to find a way to get to France and find Dempsey. The Cathedral is surrounded and there are more military showing up in preparation for what is to come. 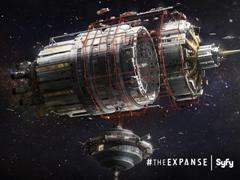 A Titan Satellite is placed above the scene. 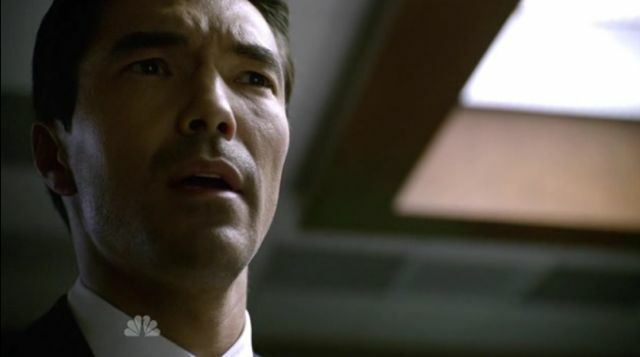 Blake Sterling and Simon Lee (Ian Anthony Dale) are speaking about what to do now. 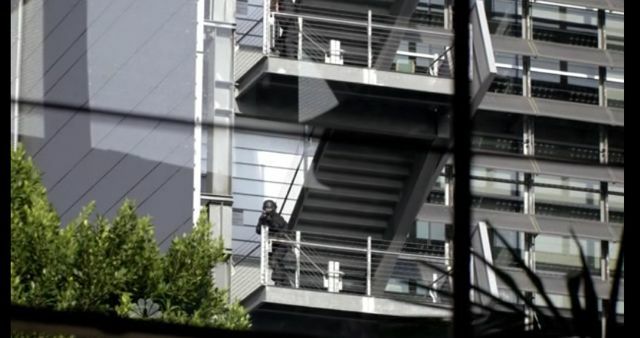 President Martinez orders a mass-evacuation of the surrounding blocks of the Cathedral under the guise of a hostage situation by a White Supremacy group. President Martinez orders that Sophia be contacted on a secured line. 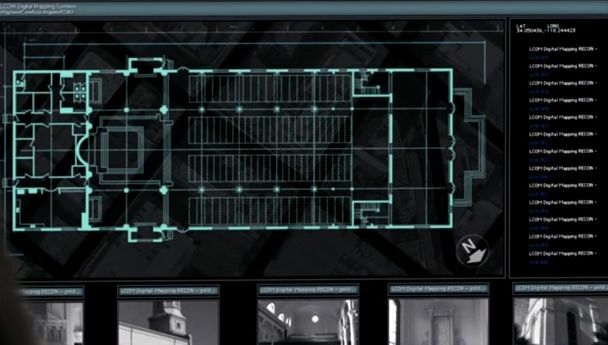 They check the church schematics to see what their options are, such as emergency exits, hallways and so on for tactical purposes. Martinez no longer believes Sophia and her intent of a peaceful resolution to the question of disclosing the alien’s presence. She is speaking with President Martinez and I notice how she is no longer informal on his name. Now she is calling him by the proper “Elias” and her voice becomes more measured in speaking to him. 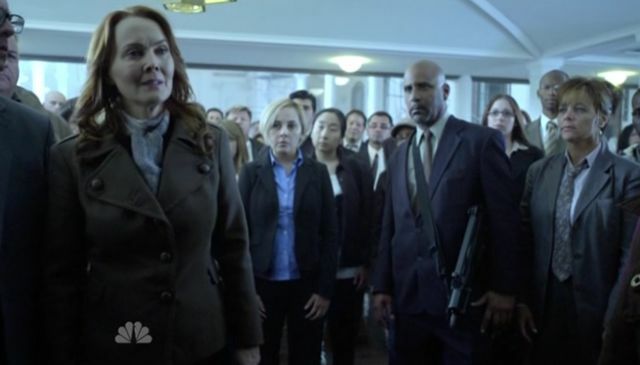 President Martinez gives her ten minutes to surrender, or he “Will make you regret ever leaving wherever it is you came from!”. Next, we see some of the aliens being armed by Thomas as an irate Sophia tells him that they need access to the portal to get their people out of there. 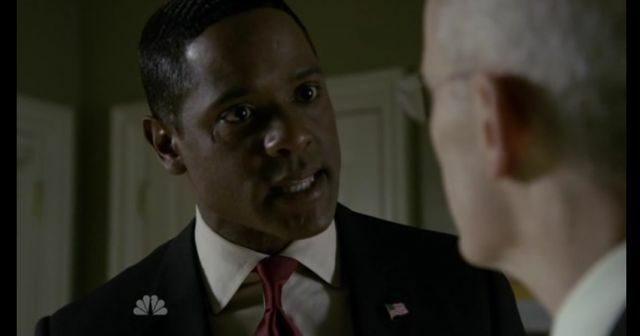 Thomas explains he is waiting to hear from Gerard (John Prosky) through a security protocol, but he would rather die fighting. 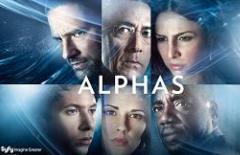 Next, Sophia and Simon Lee (Ian Anthony Dale) are talking on cell phones as Sophia breaks the news to Simon about their planet’s fate. Gerard phones and cannot use the Portal to transport 188 people out. The fuel needed is too great. 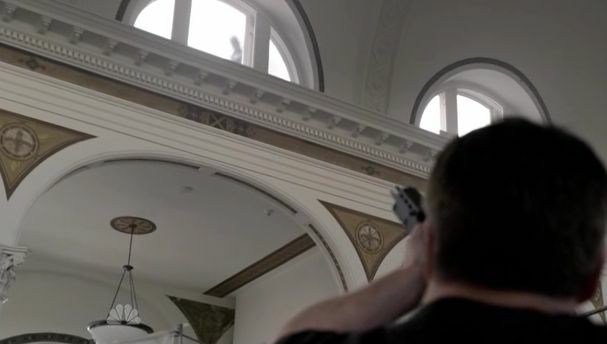 Sophia asks him what they could do with the portal.. One of Sophias’ people opens fire on a recon unit he sees at one of the church windows. President Martinez is enraged at the news about the shooting and Sophia tries to tell the President the shooting was not supposed to happen. 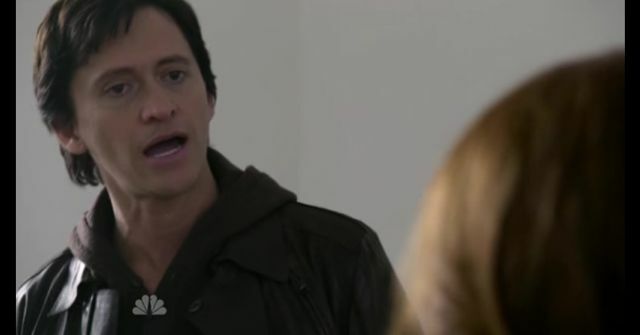 Elias doesn’t believe her and in a sense ‘hangs up on her’. She then orders Gerard to “Take it down”. Back in the war room discussions about what to do are now interrupted from a huge earthquake. This leads to calls for evacuations, concerns for the safety of the President and his family ensued, but President Martinez did not want to leave the White House. He was pushed out by others in the room as we watched the fall of the Washington Monument. 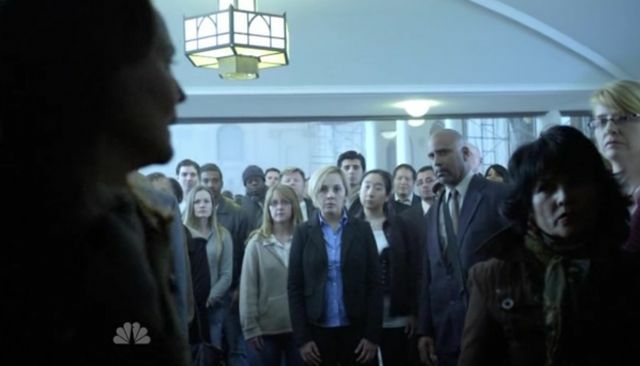 President Martinez and his people return to the War Room when Blake Sterling (Zeljko Ivanek) tells hem the Washington Monument has been destroyed. President Martinez then issues a state of National Emergency. 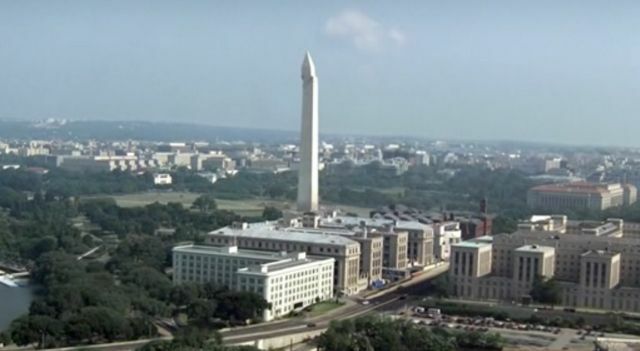 “Washington D.C. has been attacked by a terrorist group” is to be their story for the public. Sophia lays it on the line to Martinez. Either he complies with their orders for buses and a jet at LAX, or the Capitol will be destroyed. President Martinez orders their troops to ‘stand down’. He seems to know he is up against some serious tech of which he knows nothing about. Sean and Vicky are observed in a private Jet heading to France. 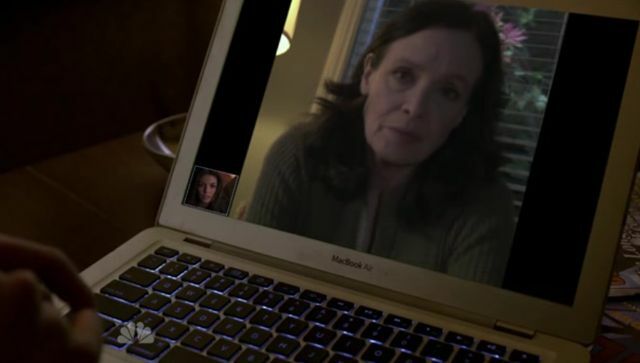 Sean lets Vicky speak to her mom on his laptop. 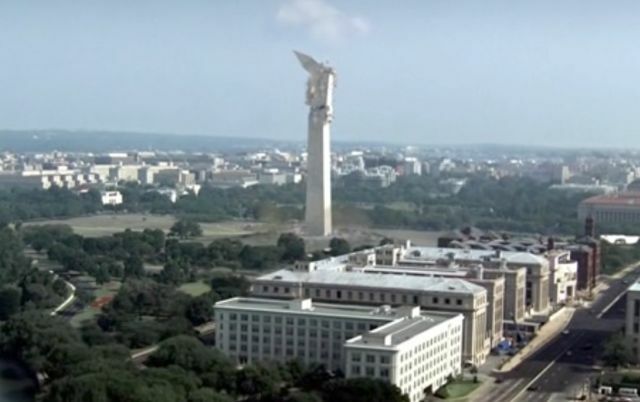 Vicky learns about the fall of the Washington Monument from this video chat. She is shocked at this development and asked if they are alright. Her Mother says they are, and asks when she will be coming home. Sean signals she’d better leave the video chat, so Vicky complies and talk turns back to Dr. James Dempsey (Hal Holbrook) . What could he want to do in the Jura Mountains? Sean is researching Dempsey’s interests and why he would be going to France. He finds that Dempsey has an organization called the “Phoenix Foundation” and they have an archaeological dig going on in the Jura Mountain range. Vicky wonders what a guy involved in Big Pharmaceuticals would be after. Sean says he doesn’t know, but Dempsey’s spending a fortune to find it. We are then taken to a scenic view of the beautiful Jura Mountains in France. 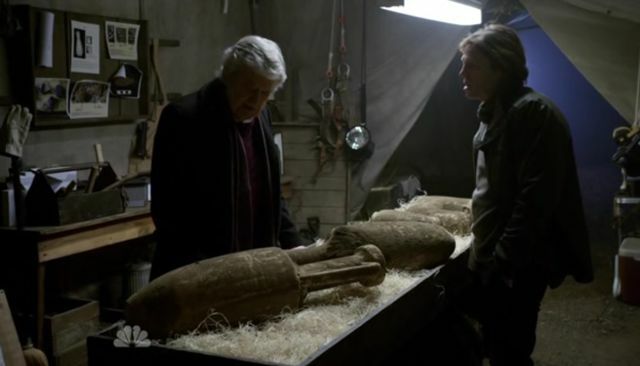 Dempsey (Hal Holbrook) arrives to the dig site. His lead Archaeologist is showing their finds to Dempsey. “We’ve Unearthed nearly a dozen Limestone Amphora” The archaeologist says proudly, “Eerily similar to those that house the Dead Sea Scrolls.” The young man goes on to say one Amphora was painstakingly inscribed with a language which is unknown to him. Dempsey is told that by preliminary results, Carbon 14 data suggests the amphora’s ages at about 2,000 and 1900 B.C. Dempsey then says “Oh, well, they’re much older than that” During the Archaeologists’ enthusiastic description of the carvings, the young man says something about the pictograph on the north wall of the chamber. Dempsey becomes highly upset. Angrily pointing out his specific instructions were that NO ONE breach that entrance. After making sure no one else saw inside the chamber, . “This is unfortunate. 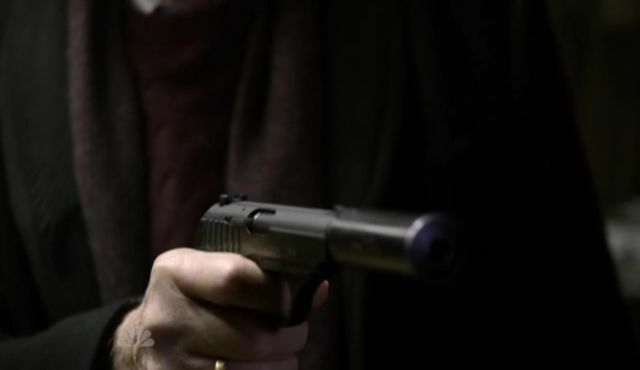 if you had exercised a little more self control, you might have been able to live long enough to tell your children about this.” as he brings out a gun and kills the Archaeologist. 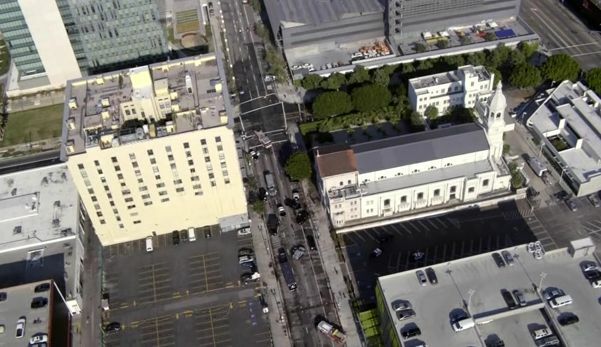 Next, we see an aerial overview of the Cathedral in Los Angeles. Many trucks with troops filling the surrounding streets. Sophia stands inside, looking almost ‘angelic’ with the rays of light coming through the window into the choir area. Thomas is coming to speak to her. He is trying to say he understands what Sophia is feeling, but she says he does not know what she is feeling at all. They quarrel a bit as to which way was right, and Sophia blamed Thomas for not taking a peaceful, diplomatic route with the government in their fate. 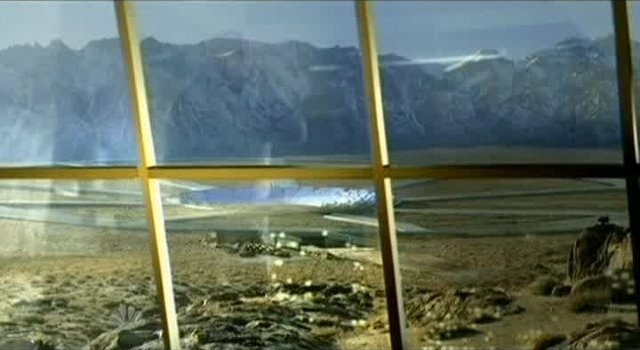 Thomas looks out the window at troops standing on landings of neighboring buildings. Thomas bows his head to her and she reaches out, they embrace, as if coming to terms with what has happened and where to go from here. 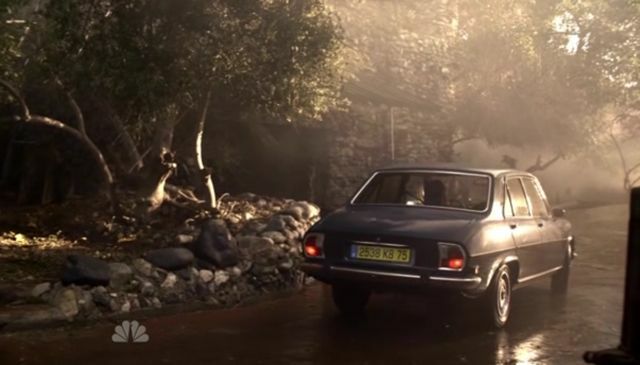 Unknown to Thomas and Sophia, Isabel (Necar Zadegan) stands off to the side, watching. It appears as though Isabel is not pleased on seeing the two reconcile! I believe she had hopes of being in leadership with Thomas, with Sophia out of the picture. Back in the War Room, President Martinez is speculating about what the alien’s power source is, its’ capabilities and so on. Blake Sterling enters, asking to speak with him….alone. General Armbruster (Blue Deckert) asks Martinez “Sir? What do we do?” Martinez replies “Give ’em the buses” as he walks out with Blake. 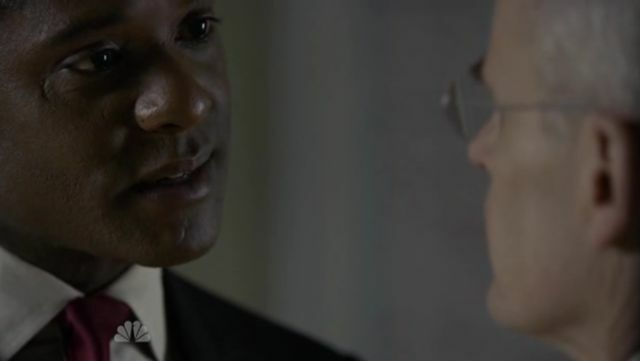 In the hallway, Blake tells Martinez “There may be an opportunity to exploit” And continues to tell Martinez that he’s seen Thomas before Inostranka. Blake recalls seeing Thomas at a medical facility where Simon Lee was recovering. They had ordered a DNA test on Simon, to prove he was human and Thomas had been there, wearing a lab coat. Blake surmises that Thomas posed as a lab tech in the blood bank. Martinez finished this saying “He switched Simons’ blood sample out for human.”. 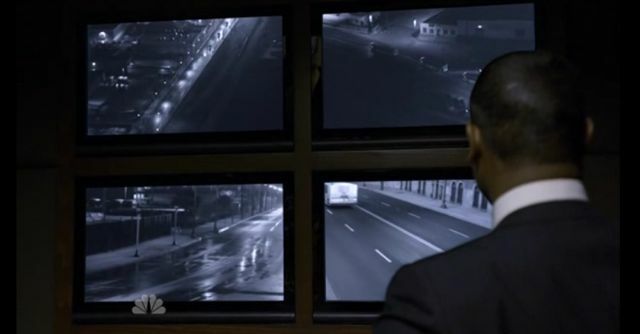 Blake goes on to say Simon’s phone calls are being monitored and that Simon is using encrypted technology for this. They are trying to decrypt Simons’ phone conversations. 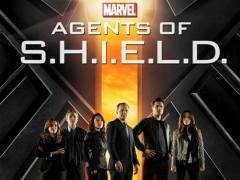 If they can succeed without Simon knowing about it, they can possibly get a step ahead of the aliens. 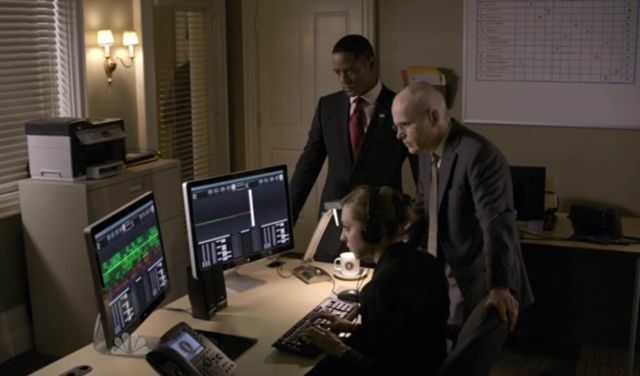 Now we are in a computer room where a tech is trying to decrypt Simon’s calls. They have captured the more recent calls to Sophia and are trying to unscramble the conversation. 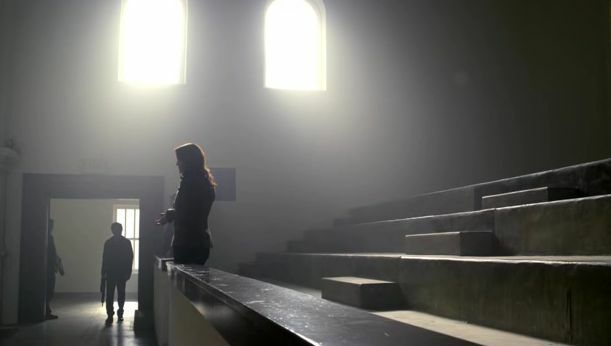 Simon asks Sophia why the Portal was not used to get their people out of the church, and Sophia tells him there wasn’t enough power to do that. They used what little fuel they had on the monument. Sophia tells Simon the ultimatum she gave President Martinez was a bluff and that they are -for right now- completely defenseless. At this time, this discussion is not known to the President or his staff. La Cluse-Et Mijoux, France on an open road, Sean and Vicky are in a car going to a safe house to meet with someone only known as ‘Henri’. Sean’s laptop sounds an alarm and this tells Sean to enter the code he is using to stop the information of Vivky’s mother and son from going viral. This is Seans leverage on Vicky to force her to help him in the quest to find Dempsey. Vicky is very closed off about herself and Sean asked her if that makes her uncomfortable if people know about her. She said “No, it makes me feel vulnerable and THAT makes me uncomfortable”. Sean and Vicky arrive at a run-down ‘Chateau’… More like a farm house and it looks disused. Vicky knocks loudly, four times and said she is going around to the back. Sean stays at the front, trying to peer into the house, and Henri sneaks up over him and has Sean at gunpoint. Vicky returns to stop any trouble, Henri is happy to see her. 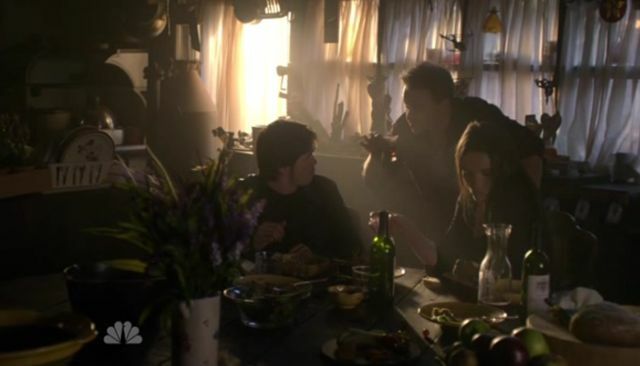 Apparently Vicky and Henri worked together on another job with the CIA a while back and at a table filled with wines and food, the two reminisced about the past job. We also find out Vicky was never reimbursed for that job, and another agent used her to cover up his mistakes. Could be why Vicky is the way she is as well… Being “Ripped-Off” by anyone could do that to a person. 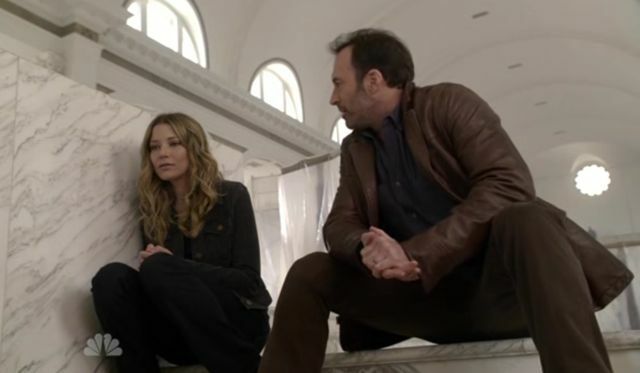 We are now back in the Cathedral and Leila (Sarah Roemer) is looking sad and confused, sitting on a step when Michael Buchanan (Scott Patterson) comes and sits with her. 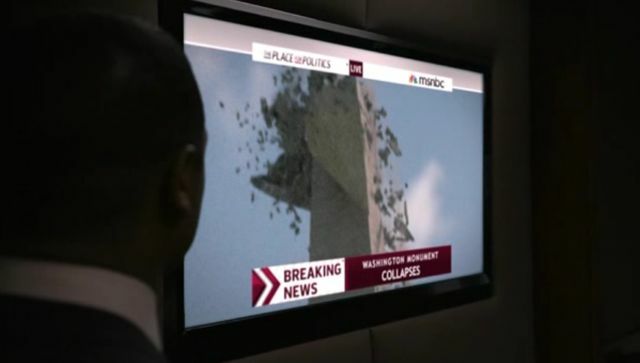 Leila asks her father “How could you?” in reference to the fall of the Washington Monument. She sees them all now as Terrorists. Michael tells her they have to get away or their people will be locked up. That SHE would also be locked up. He tells her she must accept her place among their people. 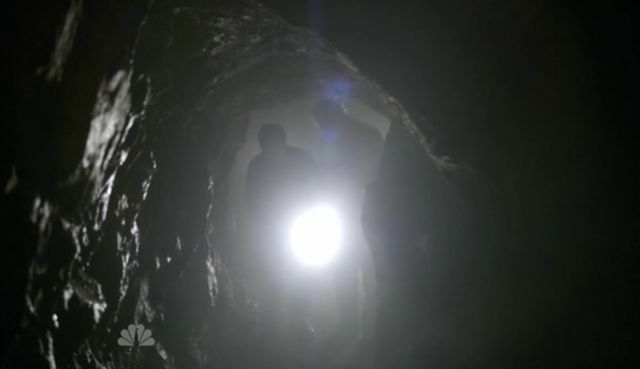 Dempsey is in a deep part of the dig site, going into the chamber with a companion. Dempsey says “I assure you, no living thing has entered these caves in thousands of years” as they walk in. 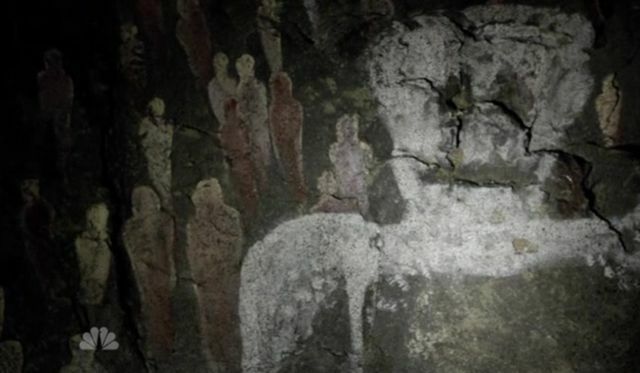 Gradually, we see a wall pictograph of smaller beings around what appears to be a very tall humanoid figure. Dempsey looks at this in awe, saying “Aren’t they beautiful?” Dempsey’s voice is thick with emotion. 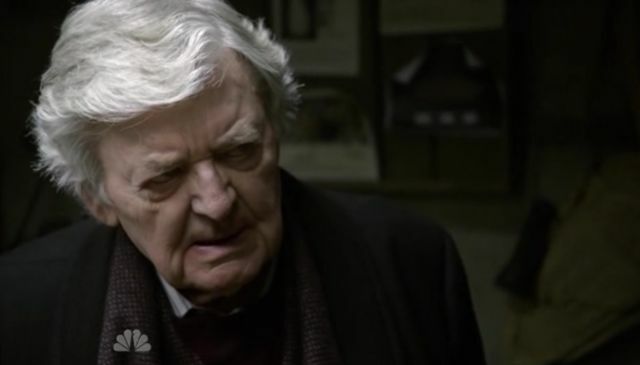 I love Hal Holbrook, he plays this character so well! Dempsey then gets a small smile on his face as he approaches the wall of these images and reaches to it. We then see his face, filled with wonder. 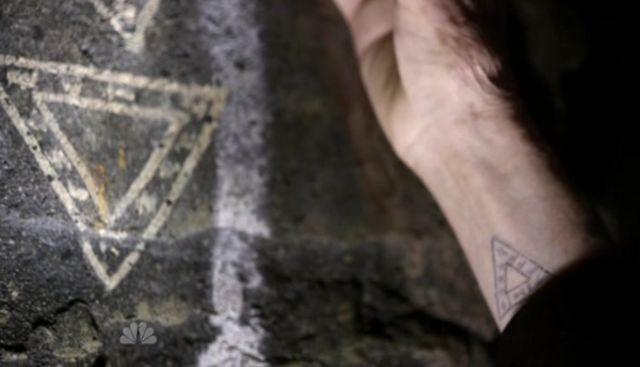 The camera tightens in on a triangular image on the picture, and a tattoo of this same design on his arm. Dempsey’s eyes grow wide in awe. I wonder if this could well be a reference to the Nephilim, an ancient people referred to in the Hebrew Bible. The Nephilim were the ones who fell in love with the Daughters of Man and rook these women as wives and Mothers to their offspring. 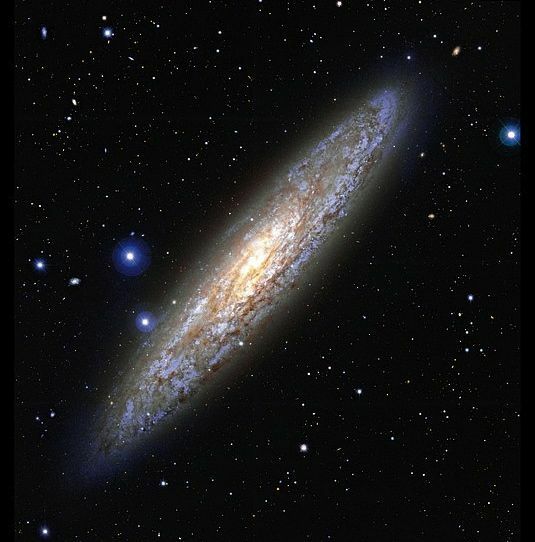 In other words, we are descendents of these ‘unearthly’ beings. 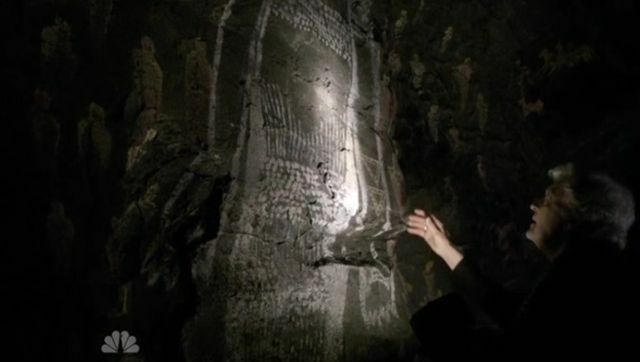 Other cultures site the Anunnaki in ancient Sumerian carvings in much the same way. 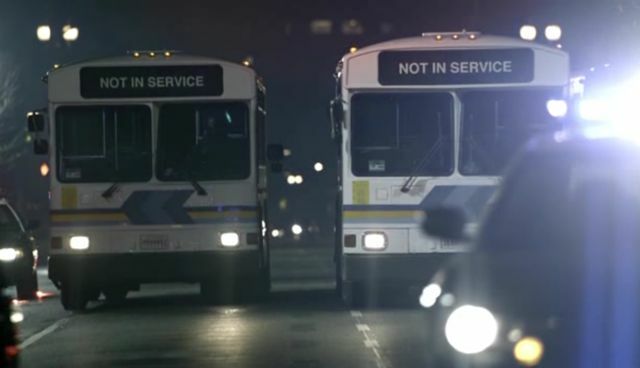 Now we see three buses arriving to the cathedral on dark, city streets, complete with Police escorts. Sophia then delegates the three buses to David, Michael and Thomas. 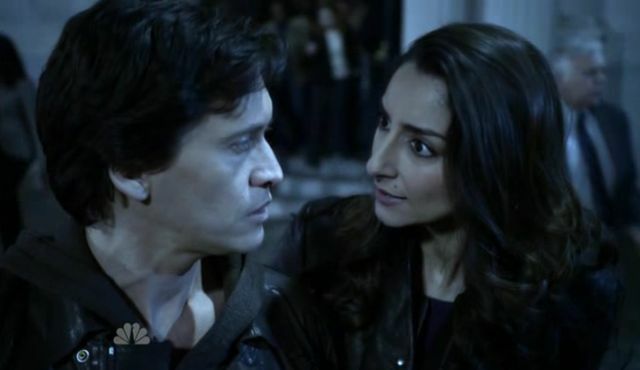 As the aliens leave the Cathedral, Isabel (Necar Zadegan), Thomas’ companion, bitterly tells him “It should have been you up there.” She is angry that Sophia is now back in control of their people. Isabel apparently had big plans for herself and Thomas. She does not seem to like the idea of following. it seems as if she wanted Thomas and she both to lead their people. As the aliens board their respective buses, the decryption process has been successful. Simon and Sophia’s earlier discussion is clarified and President Martinez hears Sophia say she had been bluffing and that they were actually ‘completely defenseless’. Enraged, he orders the complete take out of all the aliens. “By any means necessary!”. Blake is hesitant about this order saying it could result in All-out War. Martinez reiterates the order and walks out. Back to a shot of the Apache gunship above the buses, and a missile is fired from it to the buses. 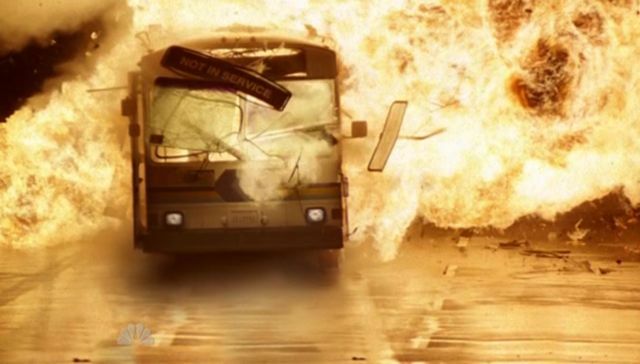 The first bus, assigned to David, bursts into a ball of fire. Seeing the destruction on the screen in the war room, Simon catches his breath. He has just witnessed the killing of several of his own people, my heart was sad for him. 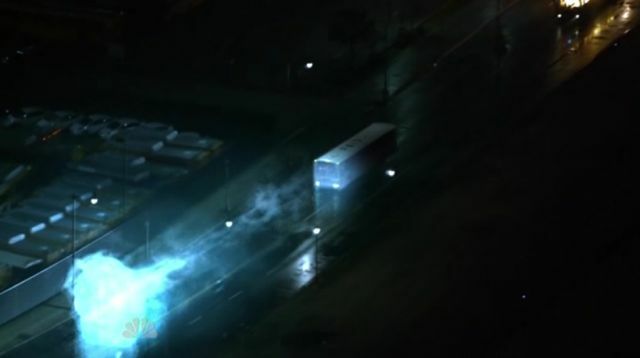 Thomas ultimately maneuvers their buses so that his is the target, saving Sophia’s bus for the Portal’s transportation. 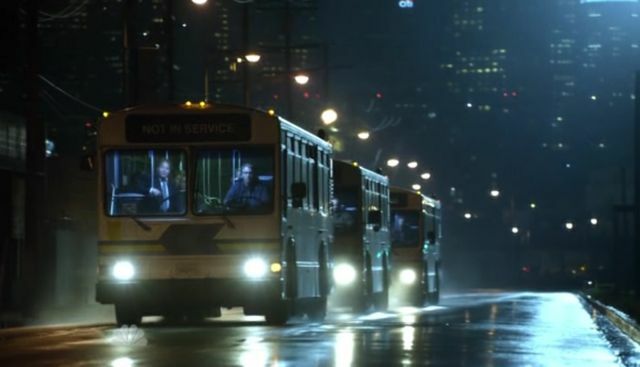 Sophia is upset but Thomas uses her own words “Leadership is discipline….Sacrifice” Thomas disconnects from communication and orders that his bus gets past Sophia’s. The waiting Apache gunship fires and the missile hits home blowing Thomas’ bus to pieces as Sophia and the others in the other bus watch, some crying out in horror. 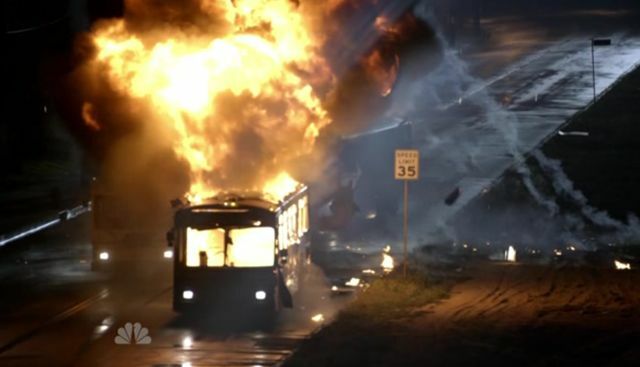 As Sophia’s lone bus now continues past the burning carcass of Thomas’ bus, Sophia looks over in pain at what remained of the bus and all her people within it. 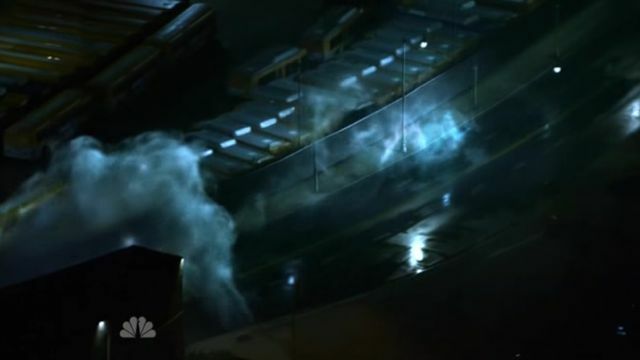 She seems to either not notice or not care there is a blue haze surrounding their bus as Gerard activates the portal. Sophia catches her breath as they disappear into the wormhole. In my opinion, this episode was very descriptive of the way we as a species are and have been through time. We do tend to shy away from those people and things which are different and ‘Unknown’. Of course, sitting in front of our TV’s watching a show like this, we can either cheer the aliens on in their justifiable outrage at being strung along for sixty-six years and feel they deserve freedom and the same things we would hold equally dear. They have been promised their freedom. There are also others who would say that the aliens are up to no good and would cheer President Martinez on in his feelings of having been ‘deceived’, in his quest to “Take ’em Out”. Other viewers may not cheer for either side, but may well adopt a ‘wait and see’ approach. This leads me to wonder how we would react if that day comes. If extraterrestrials ARE known to be among us. In ships or through portal arrays, that they have arrived. If disclosure by the leaders of nations around the world occurs, what would we as a people do? 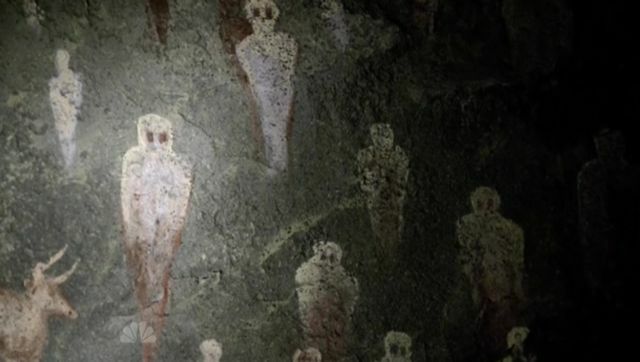 Would we perhaps see them as our ancient forefathers did, as “Angelic” or “demonic”? Perhaps not. we are technologically advanced enough to not be dazzled by their portals or their ability to defy current laws of physics. I for one, would like to think we have the intelligence to see what the newcomers would want. That we would give them a chance and not jump to the conclusion the aliens are here to destroy us and start fighting them. I would like to think we too, could be known as “Advanced” enough to try to be open minded and not lie to them as it seems these aliens have been. 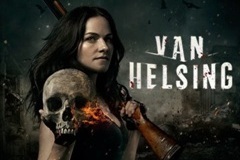 The Event Returns Monday April 04, 2011 with “You Bury Other Things Too”. 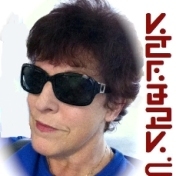 Thanks to Kenn for final proofing and additional embedding and as always we appreciate your visiting our news sites at WormholeRiders News Agency. Please feel free to leave a spam free comment or a question here. I will respond to your comment or question as soon as is possible. Jen, wonderful review! This was one of the best episodes I have seen. It was very emotional at the end when Thomas is killed. 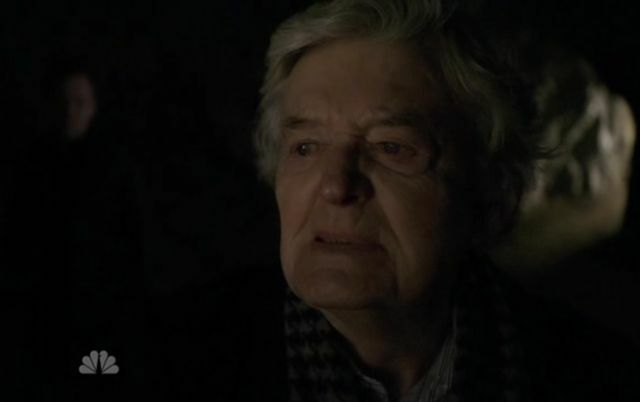 I love Hal Holbrook in this series and him being a bad guy is bonus! Great work! Thanks! « The Event: A Message Back!